Civil disputes are an area in which utilizing an experienced attorney is essential, possibly more so than any other area where the law is concerned. Ores Law provides knowledge that can efficiently and effectively affirm your rights and defend your interests, whether you are pursuing a lawsuit against a negligent or wrongful party, or you are being litigated against. Civil lawsuits in Colorado are viable to the courts only after an attempt to settle the conflict has been made. An attempt such as this can include a demand letter stating money owed with the intent to file a lawsuit shall the amount remain unpaid. Colorado courts are not likely to render a civil suit as serious unless other efforts are first pursued. So whether you are the one seeking the compensation or are being served by another, Ores Law can help navigate through the entire process. The court procedures in Colorado can be quite complex, which is why it is beneficial to hire a civil law attorney in Loveland. This protects your interests through the many levels of court, including everything from filing the proper paperwork to going to trial. There are many areas of focus in civil law, each carrying its own set of dynamics and likely strategies. Our Loveland and Fort Collins civil dispute attorney will provide aggressive representation for you regardless of which side of a dispute you are found throughout negotiations and/or at trial. Essentially, we partner with you through any type of civil claim. 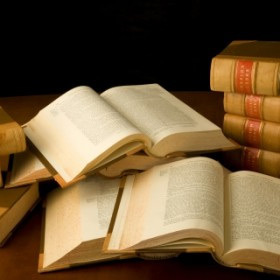 Our lawyers work tirelessly to find the necessary information about the other party in the case. During the time of discovery, we are finding facts to support your case while searching for holes in the opponent, ultimately searching for the evidence to bring justice to the claim. This can include ample research and the collection of a deposition. After obtaining sufficient information on your case, we will apply the pertinent laws to your circumstances and fight for a solution that supports your position. The court follows a certain procedure for settling civil disputes. It begins with the claim, navigates through negotiations, and ends with a trial. The procedures are not mandatory. If the claim can arrive at a settlement during negotiation, the case does not need to go to trial. However, if an agreement cannot be settled, the case can be taken to court and presented in front of a jury. At that time, the jury will decide who should pay what damages. Another option is to present the case at a “bench” trial, i.e. a trial using only a judge without a jury. The United States legal system believes that everyone is innocent until proven guilty, so please contact your local civil lawyer at Ores Law. We serve the Northern Colorado area with experience, honesty, and integrity.